Berkeley, CA – A UC-Berkeley-based organization, Southeast Asia – Renewable and Adaptive Energy (SEA-RAE), has won a United Nations SEED prize for sustainable energy development. The co-founders of the group are Jalel Sager (PhD candidate, Energy and Resources Group) and Austin Cappon (Environmental Science, ERG minor, 2013). Jonny Lee (EECS, EEP; 2013) serves as engineer on the project. The grant will provide seed funding for SEA-RAE’s pilot energy project—a solar-based microgrid—in an island community in Vietnam’s Mekong Delta. SEA-RAE first performs comprehensive social and resource analyses of energy-poor communities, then designs and implements innovative technical and financial solutions that build community-owned assets. 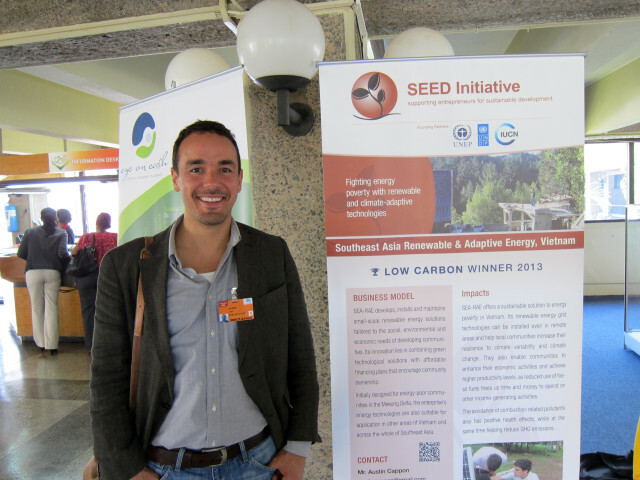 The SEED prize was formally awarded to Jalel Sager, representing SEA-RAE, by Under-Secretary of the United Nations and UNEP Executive Director Achim Steiner at UNEP’s headquarters in Nairobi, Kenya on October 31. The award ceremony and SEED symposium took place in conjunction with the UN’s South-South Development Expo; an international forum showcasing solutions to development concerns of the global south. This year’s 34 global winners included projects in Africa, South America, and Asia, and were selected from more than 500 entries. Winning organizations receive a monetary contribution, as well as access to resources and continuous support from SEED and the UN, to foster the growth of their projects. SEA-RAE is an interdisciplinary network with its hub at UC-Berkeley. Its affiliated research groups include Energy and Resources Group (ERG), Berkeley Rural Energy Group (BREG), and the Renewable and Appropriate Energy Laboratory RAEL). Its Vietnamese partners include two universities, a non-profit, and one private firm. It has also partnered with researchers at New Mexico State University who are developing advanced low-head hydroelectric systems. SEA-RAE designs and constructs energy systems for communities with limited or no access to electricity. Electricity access is correlated with a variety of development achievements, but remains inaccessible to many in rural or isolated regions, who often spend a significant portion of their income on items such as diesel fuel for generators, kerosene, or dry-cell batteries. To serve these communities SEA-RAE employs custom renewable energy packages, based on its analysis of available local resources such as sun, wind, and biomass. Many regions in Southeast Asia lie near sea level, and are particularly susceptible to the impacts of global climate change. To ensure that the lights stay on in the wake of the forecasted hazards in decades to come, SEA-RAE builds climate resilience into all of its designs. The network shares the common mission of promoting equitable energy development and building community resources in Southeast Asia. 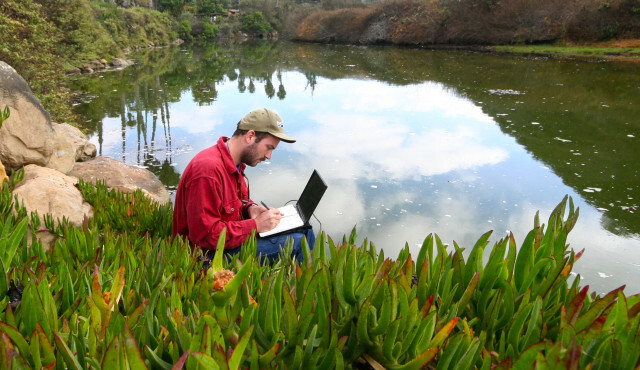 A BERC community, SEA-RAE links engineers with physical and social scientists across the Berkeley campus.